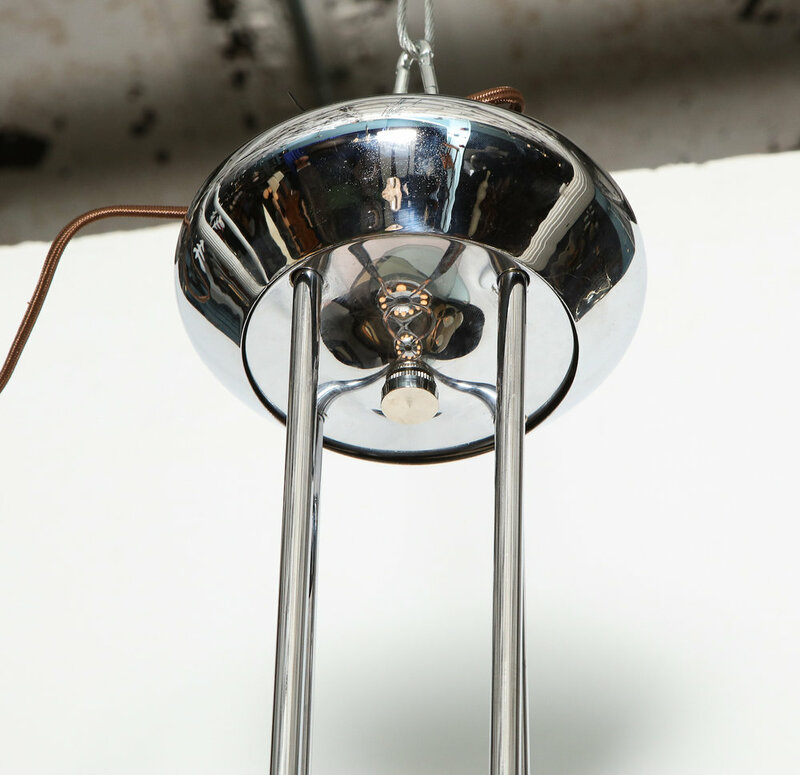 Extraordinary hanging light with 12 candelabra sockets and chromed brass structure. 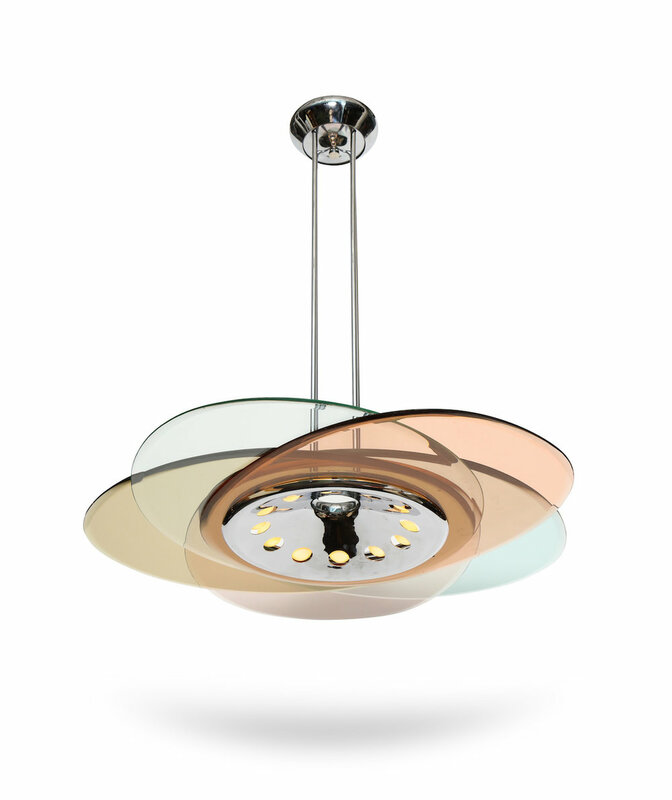 5 bevelled-glass discs -rose, bronze, blue, coral & clear - overlap and create a flower petal effect. Condition: Oxidation & wear to metal. No visible chips or scratches to glass. Wiring and sockets have been recently replaced.